℗ 2013 ECM Records GmbH under exclusive license to Universal Music Classics, a Division of UMG Recordings, Inc.
"Five Stars ... both discs are enthralling ... Schiff's account is revelatory." 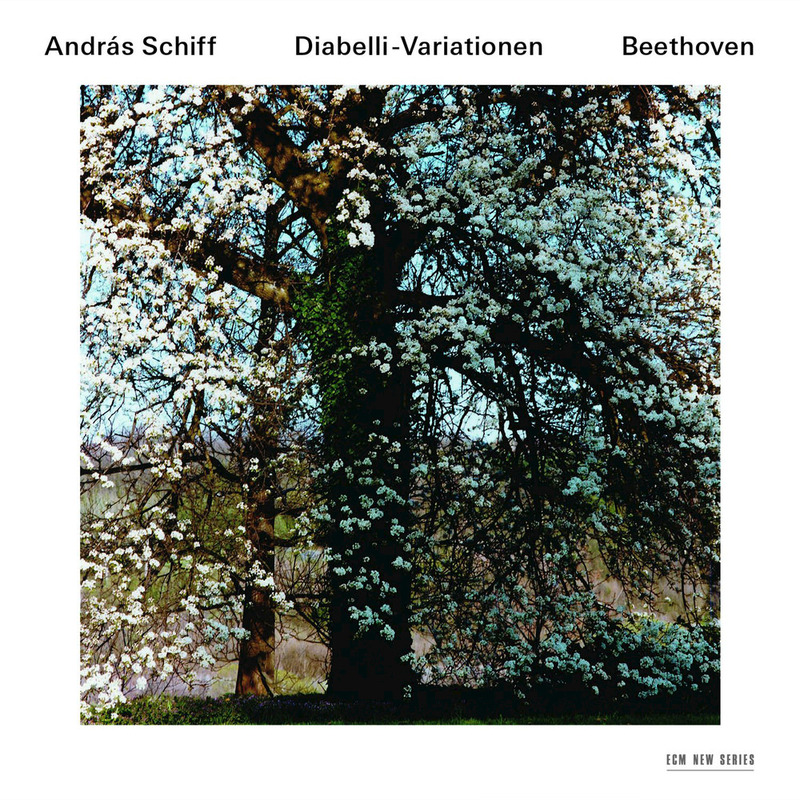 "Editor's Choice ... the discography of the Diabelli Variations is already distinguished but here’s a remarkable addition to it ... throughout (Schiff) delights with insights and a feast of fine playing, excellently recorded; his focus on the music never wavers ... an impressive achievement." András Schiff recorded these remarkable, contrasting versions of Beethoven's Diabelli Variations on two period instruments: for his first reading, Schiff employs an original Bechstein grand from 1921, while the second version is played on a Hammerflügel fortepiano from Beethoven's own day. As a result, Schiff provides a unique opportunity to compare the rich range of two very different sonic universes, a world apart from modern day instruments. The Diabelli Variations are considered a magnum opus of the piano repertoire, a towering contribution to the genre and an entire encyclopedia of pianism unto itself.